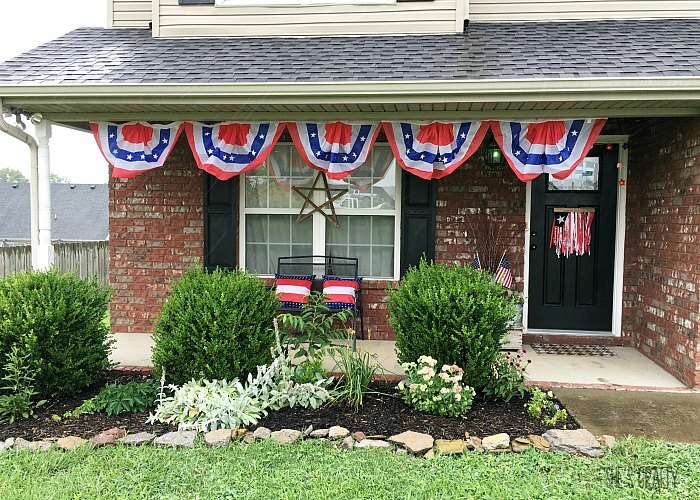 decorated for the 4th of July! 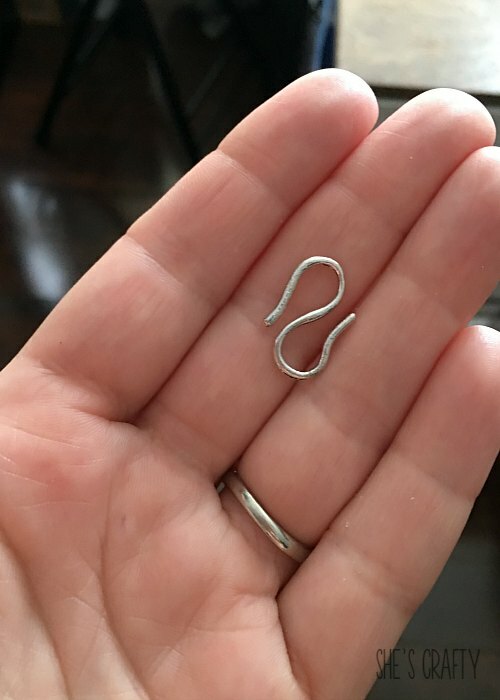 I am sent products in exchange for this post. 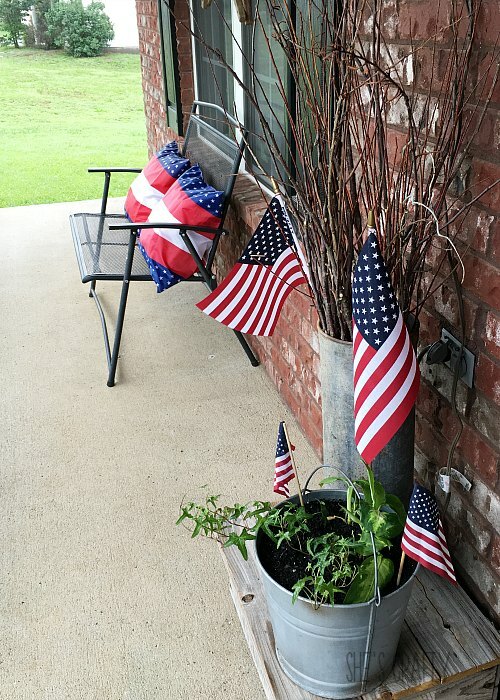 I am super excited to have my porch decorated for the 4th of July! I just love red, white and blue decor! 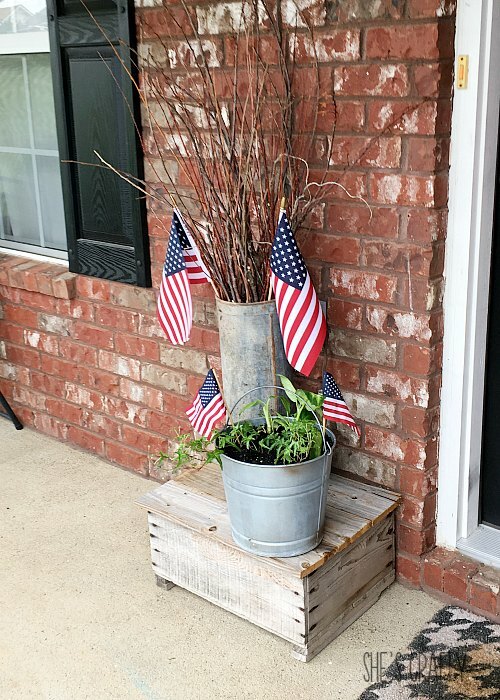 I put a few flags in my galvanized planters. Flag buntings are my most favorite thing!! I just love the way they look hanging around the ceiling on my porch. from the ledge on my porch. 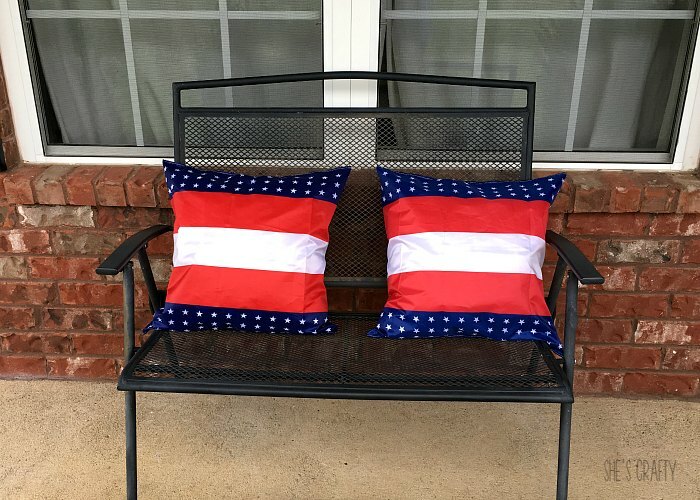 I used patriotic bunting to make pillow covers our bench. I love these cute star lights that I hang around my door. They look so cute lit up at night! I'm inspired to get my red, white, and blue on! You have incorporated some of my favorite things including galvanized buckets and boxwood! Great job! 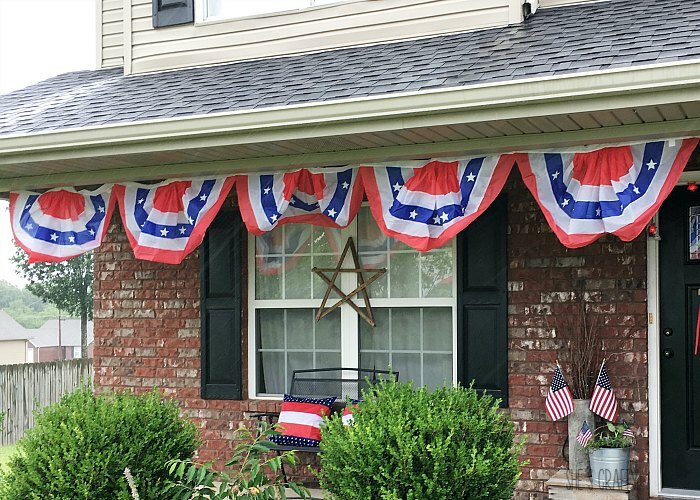 I love the summertime and the red white and blue decorations that come out this time of year. The flag bunting have always been my favorite. For some reason they always spark the patriotism inside of me. Love your front porch. Thanks so much! I love those flag buntings too! These are great ideas! I'm bummed that we aren't decorating this year because of our move. Thanks Devon! Good luck on your move!! Yes, it's a vintage yard stick that I cut down and stapled a bunch of ribbons! 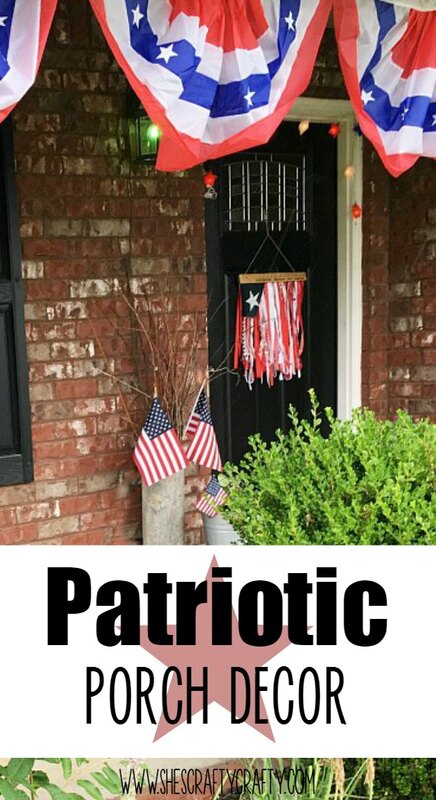 Your porch looks so patriotic! I love the bunting and the cute door hanging! 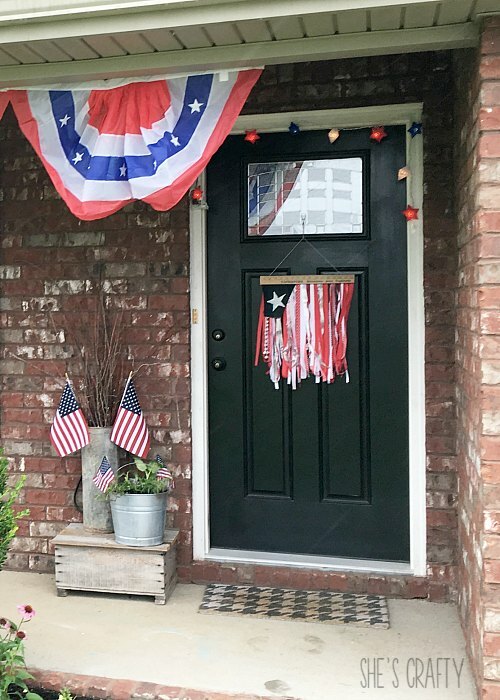 We have a red, white, and blue rag wreath that I made on our front door, but that's about it. 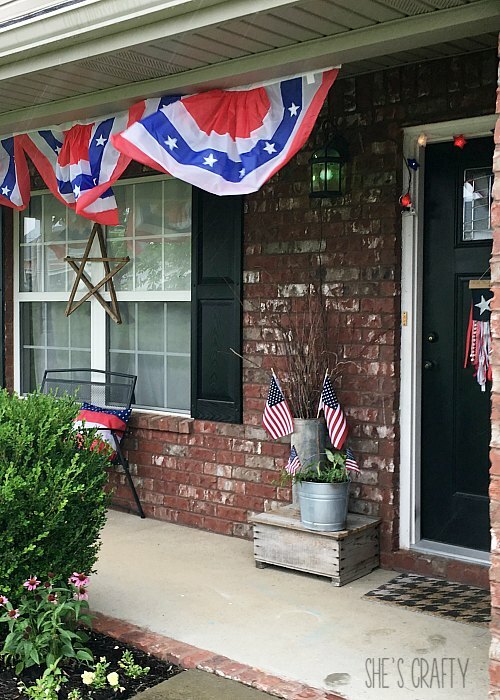 You totally inspired me to step up my 4th of July decorating! Thank you Sam! I appreciate your kind comment! 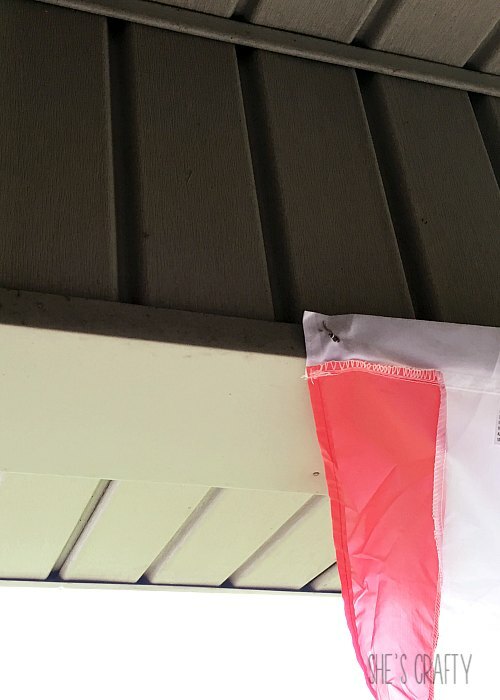 Your porch is so cute! I never thought to order decor from Oriental Trading company other than for party. 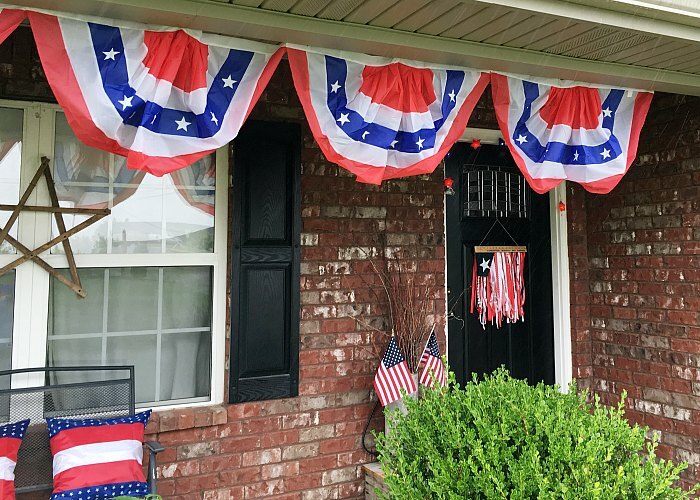 I don't usually decorate for the 4th of July, but I may this year. Thank you Ayanna! I hope you had a wonderful 4th! This is so cute! love the decor! Thank you Stacey! Red and white flowers totally count!! 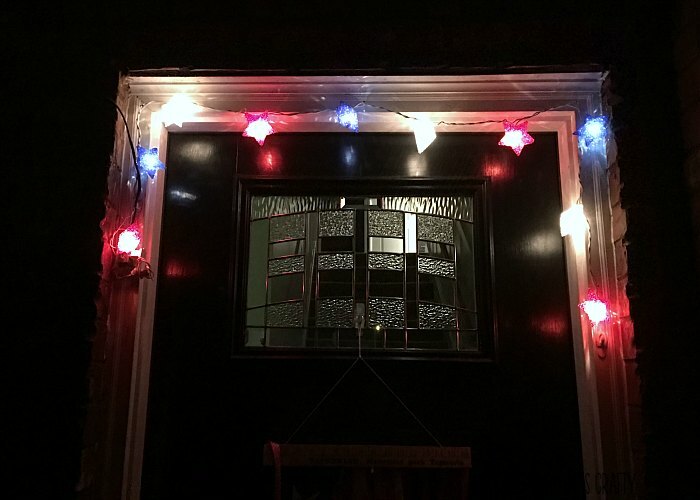 Your porch looks so festive. Every year I say I'm going to decorate our entry way but I never do. I need to get this on my holiday to-do list.